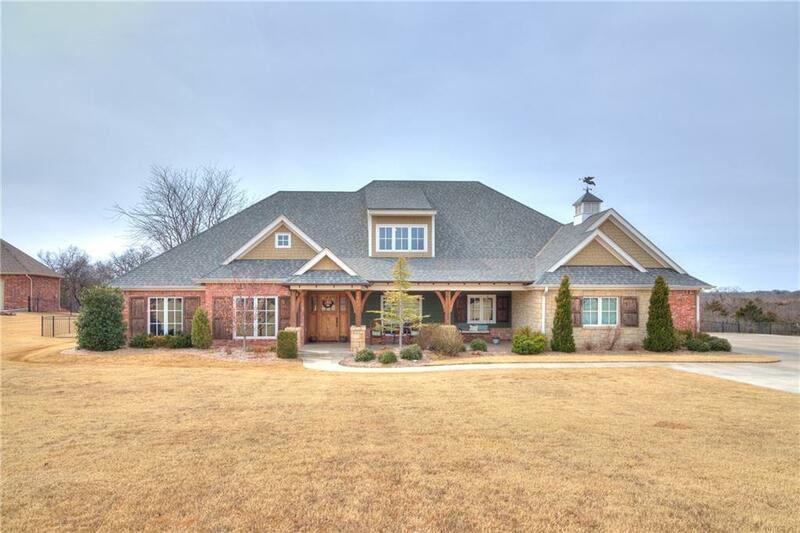 Beautiful home sitting on 2 acres (mol) in quiet neighborhood in NE Edmond! This one has it all and room for everything! 4 spacious bedrooms, office with built-ins, versatile bonus room upstairs, and a huge laundry/utility room that features a sink and tons of cabinet and counter space. Very open living area has tons of natural light, a fireplace with mantle and beautiful real wood beams. Stunning kitchen with granite counter tops, stainless steel appliances, and large island with seating opens up to the living area and is perfect for entertaining. Other features include: security system with cameras, F5 rated tornado room built in garage, sprinkler system and water softener system. All of this and more in sought after location in Edmond school district close to I-35!